It can be difficult for any busy dad to find time enjoy all the guilty pleasures that he enjoyed in more carefree days, like drinking a few pints of beer in the pub, and maybe even risking a little moolah on gambling in casinos or at the horse track for fun. We parents all need to let off some steam from-time-to time, but it can be challenging to find ways to do that with your wife or significant other after a busy week looking after and keeping the children entertained. Gambling is sometimes frowned upon, especially if you are a parent, as some people may consider that to be abdication your parental responsibilities and a bad example to children. However, parents are people like anyone else, live in the real world and there is no shame in being able to have some responsible adult fun away from the pressures of parenthood! Well one way that you can indulge in the ‘guilty pleasures’ of gambling, in a safe and controlled family environment is to stay at home and play bingo on one of the increasing number of light hearted and fun online bingo websites that are growing in popularity across the internet. Here we are taking a look at the world of online bingo, and ways to help you indulge in your little indulgence for gambling in a relaxed and responsible way that you (and your wife or significant other can enjoy. Bingo is a incredibly popular lottery-style gambling game dating back as 1530, to an Italian lottery called "Lo Giuoco del Lotto D'Italia," which is still played every Saturday in Italy. That game gave players cards with numbered squares on them and they were drawn at random from a sack! Since that time it has developed and spread across the world with many different names and with numerous variations, but in the early 1900s, being played at local carnivals, it became commonly known as “bingo”. 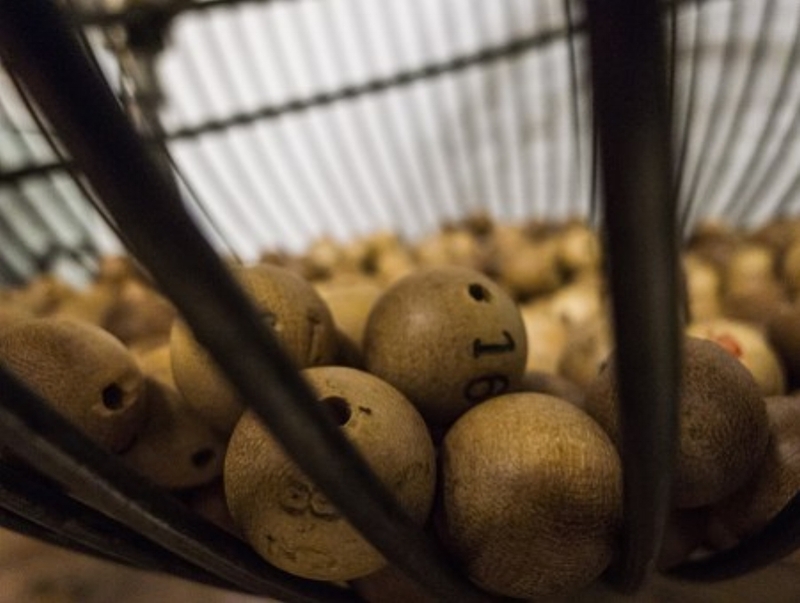 In bingo, a player wins when they match numbers on their card or cards, which has varied numbered patterns and with the numbers randomly drawn by a caller. The first person to match and complete a pattern on their card call "Bingo." Their card is presented to the caller and checked against the numbers called, and then cash or a prize is won. Bingo was traditionally played socially in halls, and had an image of only being played by silver haired seniors having their weekly social event, but that stereotype has changed radically. It has experienced a huge revival, and in Britain, bingo has caught on amongst younger people, with bingo halls receiving 45 million visits every year, and revenues are expected to climb by over $30 million more per year, from £690m in 2014, to £728m by 2019. Even alternative bingo themed nightclubs like “Rebel Bingo” full of partygoers have sprung up! As is inevitable about the age of the internet, from humble beginnings online bingo is a thriving industry, which in the UK alone generated revenue of £26.24 million back in 2010, which had more than trebled to a staggering £76.67 million in 2014, increasing to an astonishing £153 million in 2016, per The Gambling Commission . There are many ways to find safe and reliable websites that show you how to play bingo online , and the modern perception of the game is that people of all games and backgrounds can indulge in gambling for far less than playing online casino or blackjack, and the emphasis of the best sites is upon leisure and creating a community atmosphere and fun for people of all ages. Gambling is fun, but it is important to play primarily as a leisure pastime and entertainment. You should play online bingo for fun and you can socialize in the online bingo rooms - so here are ways to gamble responsibly and make sure that it stays that way. Moreover, as with any gambling pastime comes the risk of losing money from getting overly optimistic about your prospects of making fast money. In reality, however, like any gambling game, online bingo is a game of chance, and your luck will vary from time to time. There is no way around that. You hit a winning streak -as you are more likely to feel that if you keep playing you’ll win even more money. You borrow money to play – if you feel tempted to use the grocery budget money, max out credit cards, or borrow from friends, for example so that you can play, that is a red flag. The takeaway? Playing online bingo is sociable way to spend some online leisure time. Always play within your budget and stick to it. Never overspend. If you make sure that you play responsibly, who knows you might just be the lucky one to click “Bingo” and take away a jackpot! Have fun!